Oct. 22, 2017 11:30 a.m. 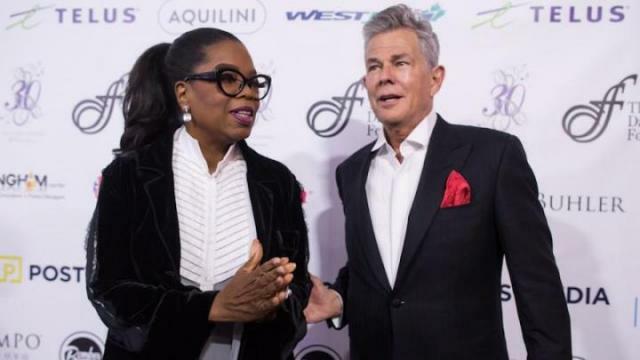 The David Foster Foundation’s annual Miracle Gala and Concert that touted a celebrity guest list including Oprah Winfrey and Steven Tyler has come a long way from its roots as a softball tournament. Former prime minister Brian Mulroney said he was among those running the bases at Foster’s first fundraiser in British Columbia 30 years ago. The charity institution founded in 1986 by the decorated Victoria-raised music producer raises money to support the non-medical expenses of Canadian families with children undergoing or awaiting life-saving organ transplants. Mulroney, accompanied by his wife Mila, said it’s more than their friendship with Foster that keeps them supporting the cause. “This is going to have a lasting mark on Canadians everywhere and it does such good work so it’s worth every effort to contribute to his initiative,” he said. To date, more than 1,100 families have been supported, relieving the pressure of their mortgage payments, travel costs and other expenses. Saturday’s concert at Rogers Arena featured performances by Foster, Steven Tyler, The Tenors, Matteo Bocelli, Laura Bretan and B.C.’s Carly Rae Jepsen. Jepsen’s performance comes just months before she heads on tour with pop star Katy Perry. “I’m very proud to be supporting such an incredible event and on top of that I’m in my home town so all my family and friends are here as well,” she said. Jepsen admitted she was also star-struck by the gala’s impressive lineup. “I’m just going to spend all night hunting for Oprah,” she said. Foster has won 16 Grammys, seven Junos, an Emmy and a Golden Globe while fetching three Oscar nominations for collaborations with stars including Michael Jackson, Whitney Houston, Celine Dion, Barbra Streisand, Josh Groban, Michael Buble, Mary J. Blige and Andrea Bocelli. He is also a recipient of the Order of Canada and has a star on both the Canadian and Hollywood Walk of Fame. Foster reflected on the achievements of the foundation ahead of the gala. “We’ve come a long way and we’re going to continue, as long as the need is there we’re going to do it,” he said. Michael Ravenhill, the foundation’s chief executive officer, said although the gala has grown, so has the need. “We actually need to make a difference. We need to save more children’s lives and keep families together,” he said. Ravenhill said less than 20 per cent of Canadians are registered organ donors. “I think the big thing is that we still need to do a better job as a country,” he said.